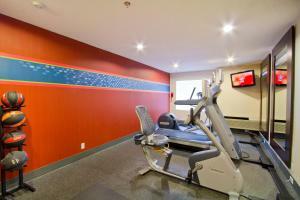 Welcome to Hampton Inn Vancouver-Airport/Richmond hotel in beautiful British Columbia. 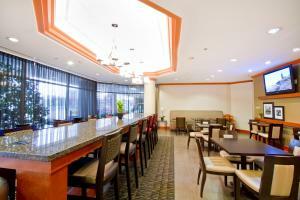 The Hampton Inn Vancouver-Airport/Richmond hotel is located off Highway 99 just two miles from the Vancouver International and Regional Airport in Richmond British Columbia. It is our pleasure to provide complimentary 24-hour airport shuttle to our guests. 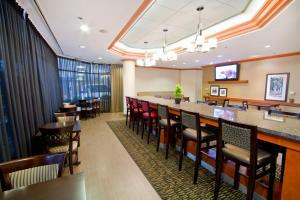 The retail district and major corporate headquarters are within walking distance of the hotel. Downtown Vancouver Surrey Burnaby and Delta are within easy access. We are 1.2 miles from Lansdowne Park Shopping Centre in Richmond 0.5 miles from River Rock Casino and 12 miles from the Vancouver Museum. Within one mile British Columbia visitors can dine at Boathouse Dem Bones BBQ Ribs Fogg *n Suds Thai House Shiang Garden Chinese Restaurant and many more… Our Richmond Hampton Inn hotel features 110 contemporarily styled guest rooms that include coffeemaker hair dryer iron and ironing board air conditioning two-line phone with voicemail complimentary wireless high-speed internet access modem and power jack on a large desk and a 56 channel cable TV with On Demand movies. Guests can request connecting rooms cribs and same day laundry/valet services. 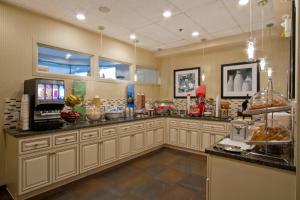 Sure to please the busy executive or British Columbia leisure traveler Vancouver-Airport Hampton Inn hotel guests will enjoy complimentary On the House hot breakfast buffet served daily as well as a complimentary morning newspaper. Richmond visitors will also have access to our complimentary parking fitness room complimentary incoming faxes and wireless high-speed internet access in our business center and lobby. Meeting and banquet facilities executive boardroom and audio/visual equipment are available for a nominal fee. 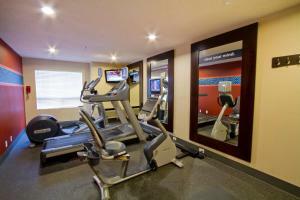 We love having you here in Richmond British Columbia at the Hampton Inn Vancouver-Airport hotel. Pet Sitting / Dog Walking in Richmond, British Columbia. If you are the owner of a Pet Sitting or a Dog Walking business in Richmond, British Columbia and wish to add your business listing free of charge to this city please submit your info here.